UPDATE: Among the Red Stars is now represented by the fabulous Thao Le of Sandra Dijkstra Literary Agency! UPDATE 2: Among the Red Stars has been acquired by Emilia Rhodes of HarperTeen! It will be released in the fall of 2017, but you can shelve it on Goodreads now. Because some stories need to be told. In 20 years of writing, I’ve never before encountered a story that demanded to be written, the sort of story where you’d actually be happy to discover that someone else had beaten you to the punch and written the exact same thing, because you just want it to be out there. But then, I hadn’t met the Night Witches. 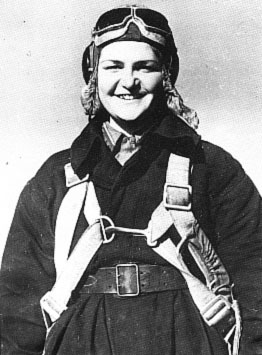 I discovered the Night Witches by way of recon pilot and fabulous hat-wearer Eugenie Shakhovskaya after innocently asking my father-in-law, who is a war aviation buff, whether any women had flown in World War I. 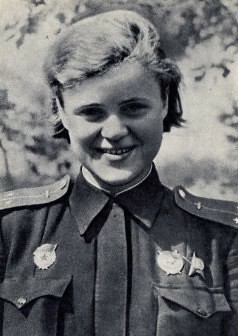 Not being particularly interested in World War II, I didn’t pay much attention to Shakhovskaya’s Great Patriotic War counterparts until I found myself with an orphaned plot thread about a female pilot who rescues a man. I toyed with possible settings. Why not a historical one? Then I began reading about them. Young women 18 or 20 years old, flying slow, flammable wood and canvas biplanes designed as trainers and retrofitted to hold a few bombs. Shutting off their engines to glide over their targets making no sound except the whistle of wind through the control wires, a sound that reminded the Germans of witches’ brooms. Risking their lives to defend their beloved Motherland against invaders with the stated goal of wiping them all out. Why don’t we already have a book about this? Why don’t we have a movie about this? The people. The stories. A navigator setting a distance record gets lost in the frozen Far East. A student sends a distraught letter to her astronomy professor after hearing that a bomb hit their observatory. A pilot has a confrontation with her commanding officer and later dies in a suspicious accident. Stories that demand to be told. But the single biggest reason I wrote Among the Red Stars is because I made the mistake of telling my father-in-law that I was thinking of writing something about the Night Witches. He promptly told everyone he knew. At that point I had to write it. You can see my pitch and first 250 in the Pitch Wars alternate showcase here. Illustrations, top to bottom: Marina Raskova in the Far East; Polikarpov Po-2; Lilya Litvyak and her Yak-1. You can see the entire illustration gallery (for entertainment purposes only) here. See the rest of the blog hop after the cut. Posted on November 2, 2014, in Uncategorized and tagged books, history, Pitch Wars, writing. Bookmark the permalink. 25 Comments. I am fascinated by this story, and you have such a way with words, I know your book will be amazing. Can’t wait to get my signed copy from you when you find the right home for it. Wow. So many stories in one there. No wonder you felt compelled to write it. Congrats on accomplishing your goal and good luck next week! This is fascinating! I look forward to the chance of reading this! You know how hard your concept grabbed me and wouldn’t let me go. I expect great things for this novel! Huge great gobs of luck! Not to worry, I already know and love Code Name Verity. This sounds absolutely amazing! What a cool, original premise. Good luck to you! I know that feeling. I had an agent for a while, and he asked me to write a few lines about what my next book was going to be. And I said I would write about a female school shooter. So then I HAD to do it. How did I not know about this? This sounds awesome!